The Friends of Sebago Lake and the Friends of Merrymeeting Bay are concerned about a provision that would delay fish passage farther upstream. 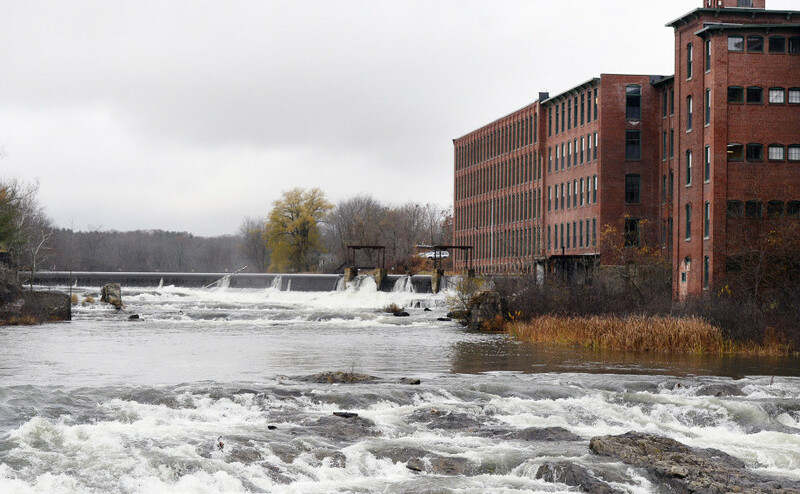 WESTBROOK — Conservation groups clashed at a public meeting Thursday to discuss a dam removal and fish passage agreement for the Presumpscot River. 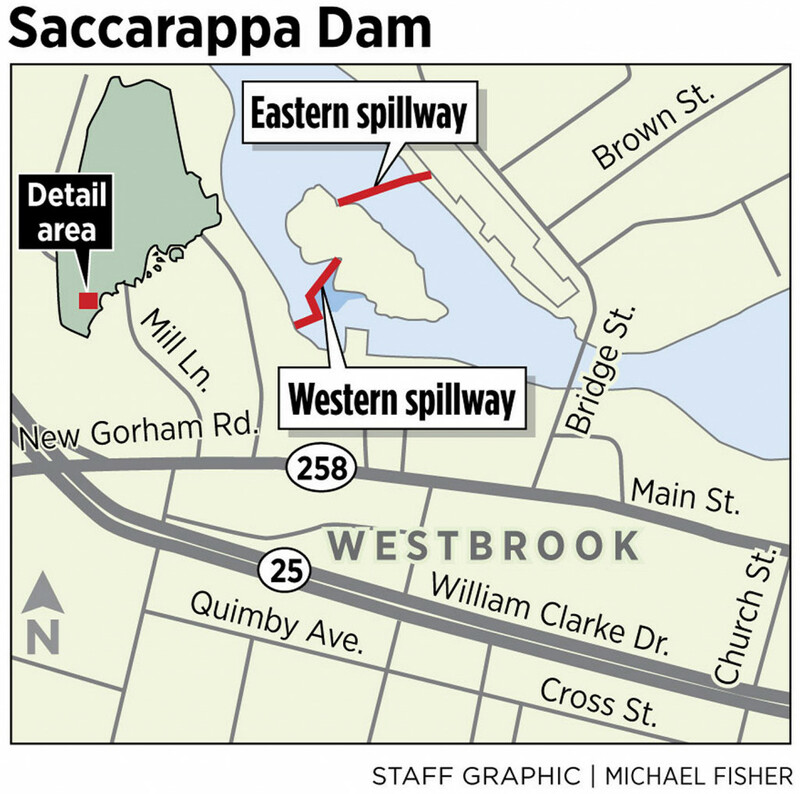 As part of a settlement announced in November, Sappi North America has agreed to remove two spillways, or dam headwalls, at Upper Saccarappa Falls in Westbrook, and to install a fish passage system around Lower Saccarappa Falls. The company also has agreed to install a fish-counting facility and to either remove or provide fish passage around dams at Little Falls and Mallison Falls once a certain number of fish pass Saccarappa Falls. The agreement was negotiated between a number of parties, including the Friends of the Presumpscot River, but two groups that were not part of the deal confronted Sappi officials Thursday night. Representatives from the Friends of Sebago Lake and the Friends of Merrymeeting Bay pledged to fight the agreement, even if that means taking legal action. They argued it will delay fish passage at the Dundee and Gambo dams – both located in the upper half of the 25-mile-long river – until at least 2053 and possibly later. Ed Friedman of the Friends of Merrymeeting Bay said he doesn’t understand why language delaying fish passage at Dundee and Gambo dams was included. Representatives from the Friends of the Presumpscot River were in the audience but made little comment. The group’s attorney, Ron Kreisman, briefly defended the agreement as a better solution than Sappi’s original proposal, but said he would not elaborate because of the threat of litigation. The Maine Department of Environmental Protection and the Federal Energy Regulatory Commission will both need to give the proposal final approval. Parties to the settlement include: Sappi, Friends of the Presumpscot River, the Conservation Law Foundation, the U.S. Fish and Wildlife Service, the Maine Department of Marine Resources and the city of Westbrook. Sappi held the voluntary meeting as part of its request with the Maine Department of Environmental Protection for a one-year extension — until May 2019 — on the deadline to provide fish passage around Saccarappa Dam. However, most of the discussion among the approximately 30 people in attendance centered on the conservation groups’ concerns about the proposed settlement. Michael Shaughnessy, president of the Friends of the Presumpscot River, said after the meeting that he expected resistance from the other groups but stood by the agreement. Friedman and Wheeler said they will continue to press the issue with government agencies.